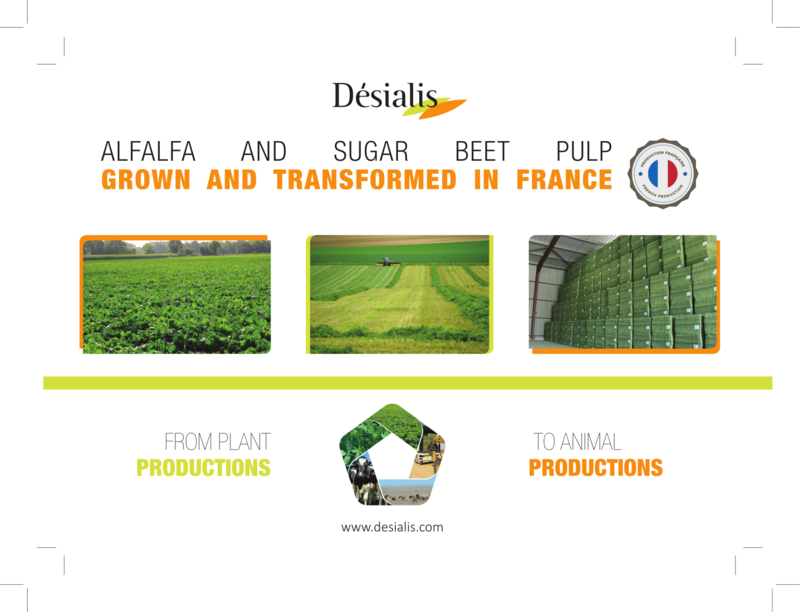 Founded in 2004, Désialis is the largest European operator of dehydrated products for animal nutrition. Our bales and pellets are from GMO-free alfalfa and sugar beet pulp grown and transformed in France. Désialis’ supplies most major European players in animal nutrition, and has a strong operational and logistical expertise for international trade. Désialis has developed a strong product segmentation policy in order to be able to anticipate and meet the requirements of various animal sectors. Astrategy that is consistent with our market approach: constantly adapting our products to the demands of our markets. 50% of our sales are now exported, the result of a globalised geographical positioning of our markets that we will pursue and develop to meet these new needs.